Maintaining good oral health habits is especially important because unhealthy bacteria in the mouth not only can harm your teeth and gums, but may be associated with serious medical conditions. 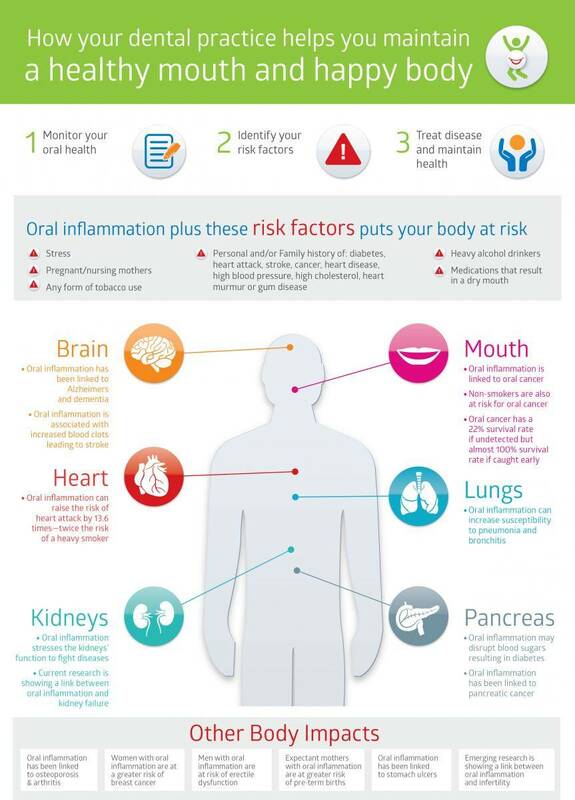 Research has shown that infections in the mouth may be associated with heart disease, stroke, diabetes, pneumonia and other health problems. It really only takes a few simple steps, brushing and flossing daily, visiting your dentist regularly and eating nutritious foods to be Mouth Healthy for Life. Your health and well-being is important to us and we will advise you on the best preventative measures and treatments required during your regular appointments. With regular brushing, flossing and 6-monthly preventative care appointments, you can avoid costly dental treatments, keep your smile looking its best for longer and live a full and healthy life. We believe in building long lasting relationships with our patients and their families, so that no matter how young or old you are, you will always feel welcome and comfortable before, during and after an appointment. 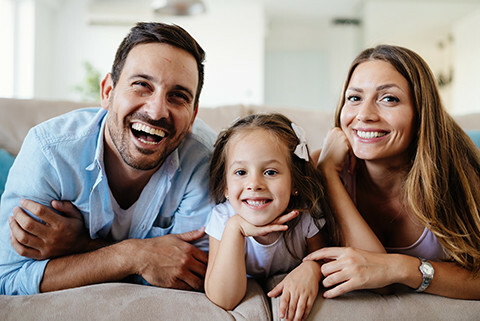 Speak to us today about general and family dental care. Why are my teeth suddenly sensitive to hot and cold? There are many reasons for developing sensitive teeth. Suddenly sensitive teeth can be symptoms of tooth decay near the gum line, gingivitis or inflammation. If you have advanced gingivitis, that is periodontal disease, the gums are moving away from the tooth, exposing the roots. Over brushing and teeth grinding are also common causes, as the enamel wears down and the underlying dentin is exposed. Other reasons for visiting your dentist for sensitivity include a cracked or broken tooth, which may fill up with plaque, causing inflammation, a loose filling or an improperly fitting crown. Let us know right away if a filling or crown is causing you pain, as replacement should be prompt to prevent long lasting damage. Maintain the good health of your teeth by following a good brushing and flossing routine. Use a soft bristle brush and brush gently. Reduce the amount of acidic foods you eat. Brush teeth with warm rather than cold water. Use a specialist toothpaste for sensitive teeth. If you take all these steps and still have problems, we encourage you to make an appointment. We can treat sensitivity with special fluoride gels, tooth varnishes and – in the case of grinding – with an overnight gumshield. If you have any questions concerning a newly sensitive tooth, contact us today!